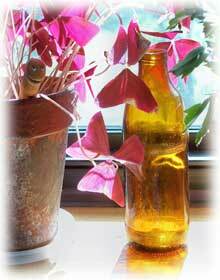 Garden Windows are a welcome addition to any room in the home. They provide a practical way to transform an ordinary window into a living work of art that changes with the seasons, and enhance a room's interior with streams of sunshine and an abundance of light. Renaissance Conservatories offers a distinctive line of hand-built garden greenhouse windows that take the basic box concept into a completely new dimension with detailed construction. By incorporating the same quality construction techniques and decorative accents used on their custom wood frame conservatories and solariums. These include architecturally correct lites, grids and arches, copper or paintable lead-coated copper capping and break metals, and the choice of five beautiful wood species. Because every Renaissance Conservatories Garden Window is built to order, it can be easily custom sized to exactly fit any window opening in the home. Standard features of the garden windows include adjustable wood or glass plant shelves, operating sash with screens, high performance Low E insulating glass, mahogany, redwood, or cedar framing, decorative corbel supports, and a removable copper drip tray that makes clean-up a breeze. The line also features two operable window styles. The top-hinged awning style garden window, which opens out from the bottom, comes in 24 standard sizes that range from 30" wide x 30" high with one operable awning - to 120" wide x 72" high with three operable awnings. The side-hinged casement greenhouse window style comes in 9 standard sizes, ranging from 48" wide x 48" tall with two operable casements - to 96" wide x72" tall with four operable casements. Using their standard models as a starting point, Renaissance will build a garden window to any size desired. Of course, it is the list of special options that make a Renaissance Garden Window truly extraordinary. The standard 16" window projection can be expanded to 24". A Counter Top Extension, wonderful in a kitchen garden window or window seat application, provides functional space. Slide-in roof sun screens effectively regulate sunlight and heat to nurture favorite plants. Plus you can add a plant box that has interchangeable flower trays and seed screens. There are also six different decorative grid and arch selections in Colonial, Prairie, Victorian and Gothic styling. Wood choices for these garden windows include Honduras Mahogany, Western Red Cedar, Spanish Cedar (Cedro), California Redwood and Philippine Mahogany, while capping and outside metals include cooper, lead-coated copper, or custom powder coated aluminum. Every garden window unit is delivered fully assembled to ensure quality as well as easy installation, with the choice of a built-in Mounting Sleeve that slides into the window opening, or a removable 3-sided Mounting Frame that attaches to the outside of the house wall. Here, the garden windows can be made to barely clear the window opening, or a larger standard size can be selected for added space. All Renaissance Conservatories installations represent a fusion of old and new ideas, interpreted through the use of the highest quality materials and state-of-the-art production technologies. The company also designs, builds and installs high-end conservatories and solariums, contemporary sun rooms and green houses, as well as dramatic glass lanterns, skylights and domes. 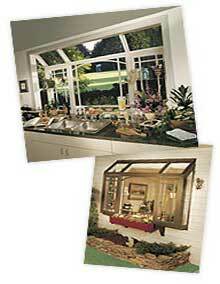 An 8-page full color Garden Window Brochure and accompanying Garden Window Prices List, priced at $2, fully illustrates all Renaissance Garden Window models, along with details, options and prices. For more information call or write: Renaissance Conservatories, 132 Ashmore Drive, Leola, PA 17540. Telephone: (800) 882-4657. Or log on to www.renaissance-online.com.